Thanks to all who sent word about the Taste of Tivoli North. Sound fun. “Tivoli North Business Association, with help from our businesses, neighbors, CHSFSC’s Green Team, Neighbor’s Consejo, Councilmember Graham, and DC Government Agencies, hosts the “Taste of Tivoli North”, a community based event, on Saturday, October 16th, 2010 from 12 to 6pm on Spring Road between 14th and 13th Streets, NW. 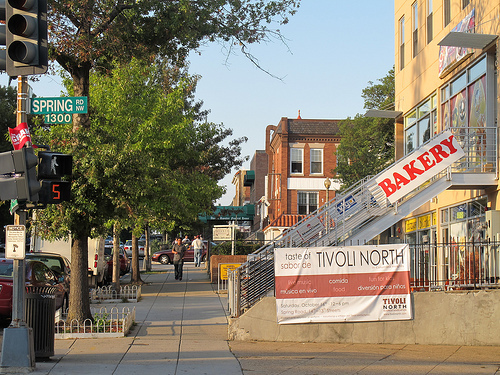 For those who’d like to revisit the branding of Tivoli North you can read about the debate here, here, here and here. Regardless of the name this sounds like a great event!